When the BBC was launched on 6 March 1923, as Station 5SC, the service originally occupied an attic in Rex House at 202 Bath Street, Glasgow, before moving to properties in Blythswood Square and subsequently in West George Street. This small space on Bath Street often housed an orchestra, pipe band, choir, solo singers, actors and speech-makers as BBC Scotland took shape, sending news, current affairs, sport, religious addresses and entertainment into people’s homes. Lord Reith, the BBC’s founder, chose Glasgow as the Scottish starting point, due to the size of the potential audience, but by the end of 1924 ‘relay stations’ had also opened in Belmont Street, Aberdeen (2BD), Lochee Road, Dundee (2DE) and Edinburgh (2EH). Edinburgh’s offices and studio were located in the back premises of a music shop at 79 George Street, broadcasting local afternoon and Children’s Hour productions and evening programmes on Friday nights. The output from stations 2BD and 2EH were clearly picked up in the United States during International Radio Week in November 1924! 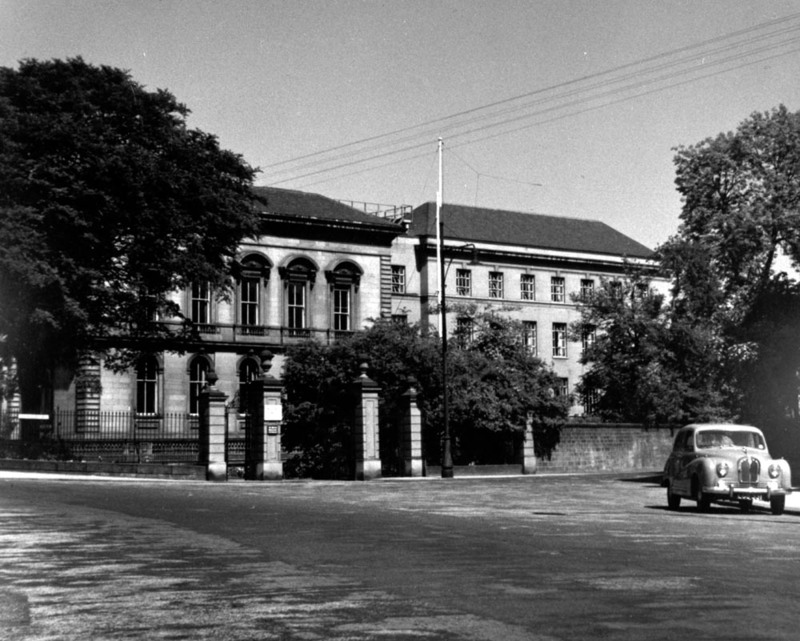 Glasgow’s base subsequently moved to Blythswood Square and then onto West George Street as the station expanded. The BBC premises in Queen Margaret Drive in Glasgow's West End, near the top of Byres Road. In 1929, the decision was made to move the headquarters operation to Queen Street, Edinburgh, where the Edinburgh station had been based since 1924 following a move from the original 79 George Street premises. These premises opened on St. Andrew’s Day 1930 and remained Edinburgh’s Broadcasting House until relocating to The Tun in April 2002, to tie in with the creation of the Scottish Parliament at Holyrood. However, in 1935 the headquarters operation moved back to Glasgow as it accompanied the Glasgow station at North Park House, Queen Margaret Drive, Glasgow, near to the Glasgow Botanic Gardens. BBC Scotland remained based at these premises until the move to Pacific Quay in Govan in 2007. The Edinburgh operation remained on Queen Street until the move to The Tun on Holyrood Road in April 2002. The Tun building is near to the Scottish Parliament building and contains television and radio studios in addition to a newsroom. The first Gaelic songs were broadcast a few weeks later, four songs in a three-hour programme called A night of Scotch music and two songs in another three-hour programme on Hogmanay night. The ’30s had a promising start for BBC Scotland with new serial The McFlannels and regular comedy shows. On 1 September 1939, two days before the declaration of World War II, Scotland’s output was merged with the BBC Home Service from all transmitters. The Scottish Home Service resumed normal service on 29 July 1945. The Third Programme broadcast across the UK for five hours each evening live from the first Edinburgh International Festival in 1947 and morning recitals were aired on the Scottish Home Service between Music While You Work and Workers’ Playtime. Edinburgh’s Queen Street studios became home to many foreign reporters as networks across the world were eager to feature such a high-profile event. 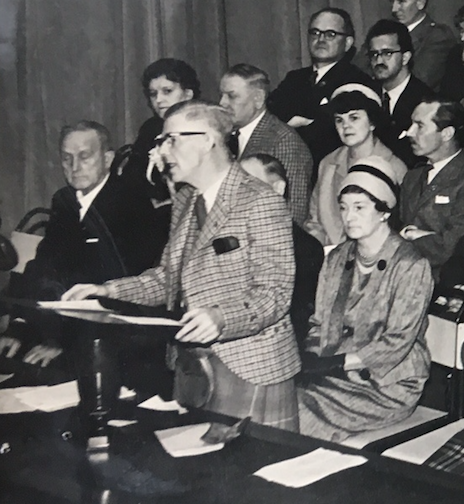 The silver jubilee of the BBC’s arrival in Scotland in 1948 was celebrated with the ‘BBC At Home’ exhibition in Broadcasting House and the Radio Times featured birthday messages from VIPs. Edinburgh similarly celebrated in 1949 with ‘BBC At Work’. 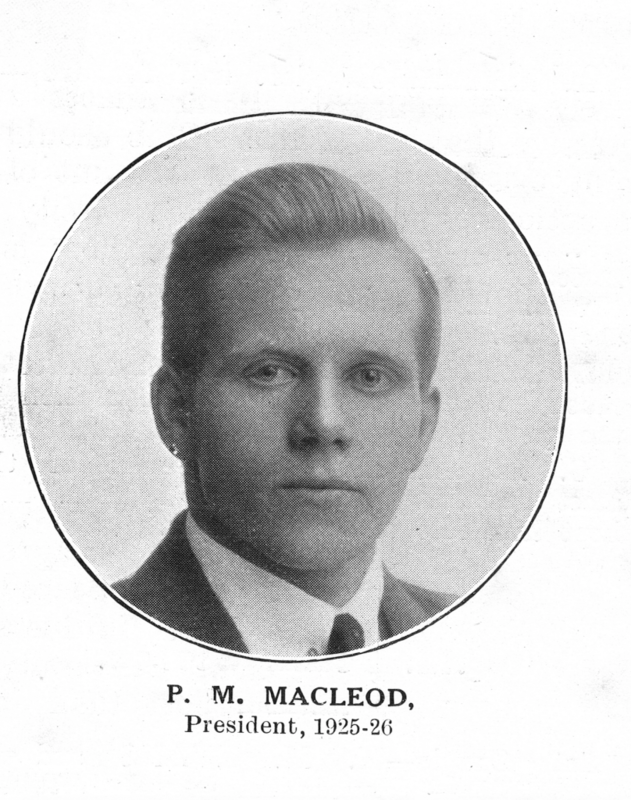 In the mid 1920s, Peter M MacLeod, a student in Glasgow who played shinty for Glasgow University, raised the question of having Shinty results broadcast on radio along with other Sports News on Saturday mornings. It was agreed that if it was possible, arrangements would be made to have the results broadcast. It was not long before MacLeod himself was broadcasting about shinty and providing "eye-witness" accounts of games. 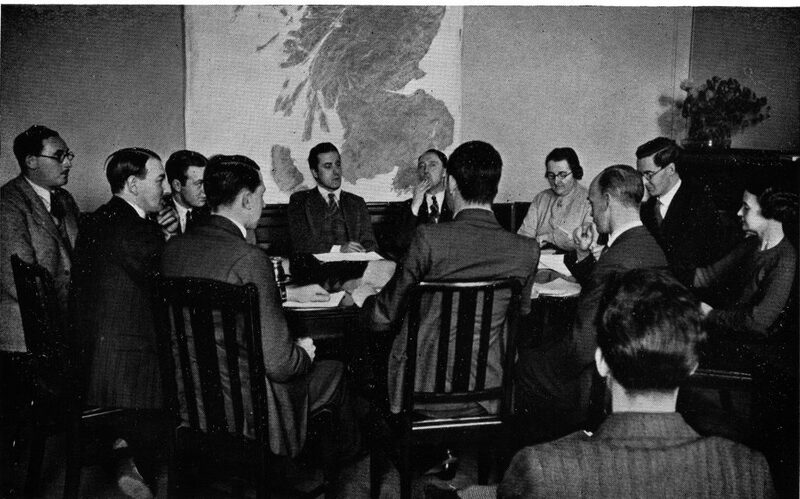 An early BBC broadcast programme board meeting. Television had a sombre start in Scotland with the broadcast of the funeral of King George VI on 15 February 1952. Four weeks later the Kirk O’Shotts transmitter aired Television Comes To Scotland from Edinburgh’s large music studio to the whole of the UK. The show featured a prayer of dedication, a vote of thanks from the Lord Provost of Edinburgh, followed by ten minutes of Scottish country dancing. It didn’t go down well in London with the Controller commenting, “Speeches dreadful. This sort of television dullness is most depressing.” Luckily, the audience was won over with programmes such as the first TV play, JM Barrie’s The Old Lady Shows Her Medals, news and parliamentary coverage and the first television outside broadcast at the Edinburgh Festival Tattoo. By the mid-60s TV coverage had reached over 97% of the population and radio 96.1%. The Great Glen Chain, a ribbon of links and transmitters across Scotland, showed that the BBC was earnestly extending its services to outlying and thinly populated areas. It was an expensive business. The Blackhill transmitters brought BBC2 to Scotland in July 1966 and the BBC launched regular colour transmissions in July 1967. A mobile control room allowed Scotland to make its first colour programme, Ring In The New, for that year’s Hogmanay. Glasgow’s Studio A at Queen Margaret Drive was upgraded to produce colour TV in 1971. Following the creation of several new stations, Radio Highland, Radio Aberdeen, Radio Orkney, Radio Shetland and Radio nan Eilean, the first national radio station was launched. Radio Scotland opened with a televised ceremony at Glasgow’s Kelvin Hall in November 1978. 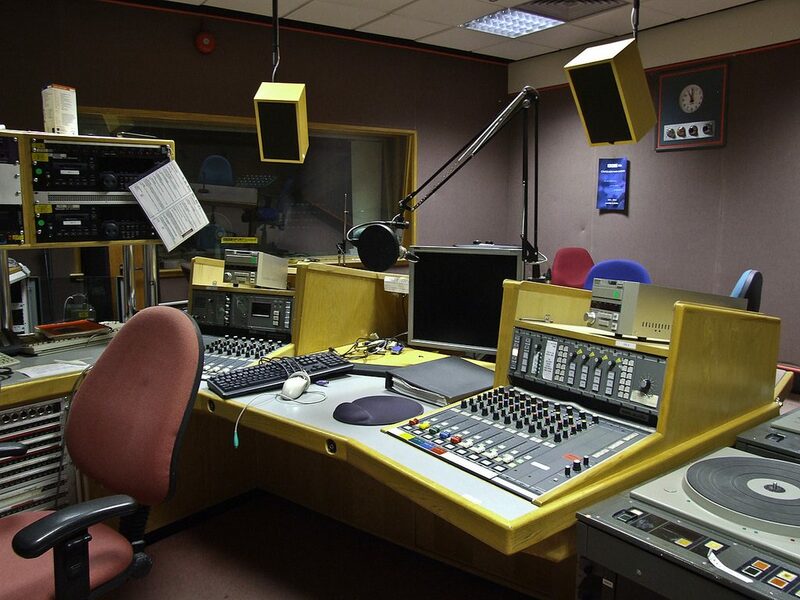 As well as being informative, Gaelic broadcasting in Scotland has acquired some symbolic importance… broadcasts given in Scottish Gaelic have important links with the efforts of Gaelic revival in Scotland. In 1980, to celebrate 50 years of broadcasting from Edinburgh’s Queen Street studios, Radio Scotland’s Good Morning Scotland was televised, pioneering breakfast television. The hit of the ’80s was undoubtedly comedy drama Tutti Frutti. Written by John Byrne it brought home a record-breaking six BAFTAs out of 13 nominations and launched the careers of Robbie Coltrane, Emma Thompson and Richard Wilson. Radio Scotland won National Station of the Year at the Sony Awards in 1994, the same year as BBC Scotland produced its first feature film, Small Faces. The following year Peter Capaldi won an Oscar for Franz Kafka’s It’s A Wonderful Life, a BBC Scotland Tartan Short film. Dame Judi Dench received an Oscar nomination for Mrs Brown and won a BAFTA for her role in the BBC cinema production in 1997. Popular drama The Crow Road won three BAFTAs in the same year, and Kirsty Wark won Best TV Presenter for Words With Wark. BBC Scotland’s Online department produced some of the earliest BBC websites, Megamag and Activ-8 (to complement the increasing TV output for children) and Wilderness Walks. Now known as BBC Scotland Interactive, the department is responsible for many websites on every topic from sport to Gaelic, education to history and music to entertainment. Upland Limestone for Higher students won the Scottish Association of Geography Teachers best non-book award in 2001 and Scotland On Film, launched in 2002 to accompany the popular TV series, holds a massive archive of audio and video and memories from the public on all aspects of 20th Century life in Scotland. BBC Scotland now makes a wide variety of programmes for numerous networks – the five network radio stations, the terrestrial TV channels and digital stations such as BBC FOUR, CBeebies and the CBBC channel. 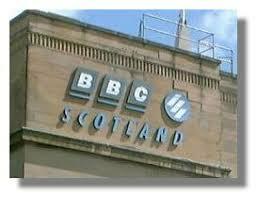 Gaelic broadcasting in Scotland has for the last 30 years been a steadily developing area of the media in Scotland which deals with broadcasts given in Scottish Gaelic and has important links with the efforts of Gaelic revival in Scotland. As well as being informative, Gaelic broadcasting in Scotland has acquired some symbolic importance. Whilst opinion polls show that the vast majority of Gaels feel they have been ill-served by broadcasting media, Scotland now has Gaelic broadcasting all over Scotland both on television and radio. The first BBC radio broadcast in the Gaelic language was aired throughout Scotland on Sunday 2 December 1923; this was a 15-minute religious address by Rev. John Bain, recorded in the High United Free Church in Aberdeen. Two weeks later, a recital of Gaelic singing was broadcast, though it was introduced in English. The first regular programme was singer Neil MacLean’s Sgeulachdan agus Òran (‘Stories and songs’), broadcast from the Aberdeen studio. The first Gaelic radio play, entitled Dùnach, was aired in 1933. It is perhaps indicative of the status of Gaelic broadcasting at this time that the producer of Dùnach knew no Gaelic. In 1934 a series of lessons for Gaelic learners was broadcast. In 1936, Scotland’s first outside broadcast was a Gaelic service from Iona Abbey. In 1939 a weekly Gaelic news review was launched. In 1935, Hugh MacPhee was appointed head of the BBC’s first Gaelic department, which moved to Glasgow in 1938; this seems to have been the first attempt to put Gaelic broadcasting on a serious footing. : Hugh MacPhee was involved in many of the developments in Gaelic and broadcasting from his appointment for 40 years. Seen here at the Stirling Mod in 1961, he was also an influential in shinty circles being the President of the Glasgow Celtic Society and in An Comunn Gàidhealach. 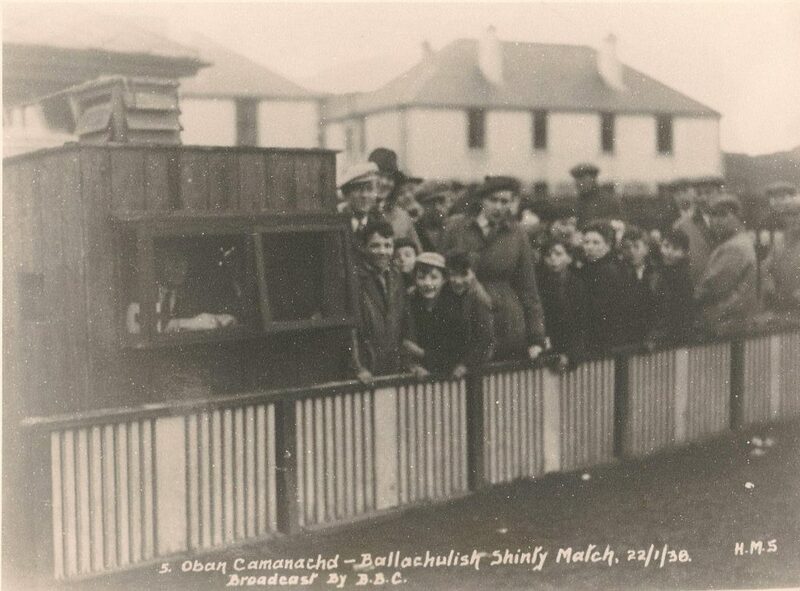 In 1940, An Comunn Gàidhealach requested an increase of output to two news programmes and a children’s programme each week. This was refused, which resulted in questions being raised in the House of Commons. After the Second World War, Finlay J. Macdonald (later co-founder of Gairm with Dereck Thomson) joined Hugh MacPhee in the Glasgow studios; he was replaced in 1954 by Fred Macaulay. With two full-time producers, the regular programming was expanded to 90 minutes per week. A number of radio plays were produced, including An Tunnag Fhiadhaich, a translation by Lachlan MacKinnon of Henrik Ibsen’s The Wild Duck (1951). In August 1957, a funding crisis resulted in the weekly news programme being cut back to once a month, but the weekly slot was reinstated as a result of strong protests from listeners. At this point, the first attempt at audience research was conducted, and indicated that a huge majority of bilingual Scots preferred to hear the news in Gaelic, and also that many learners of the language valued Gaelic broadcasts. 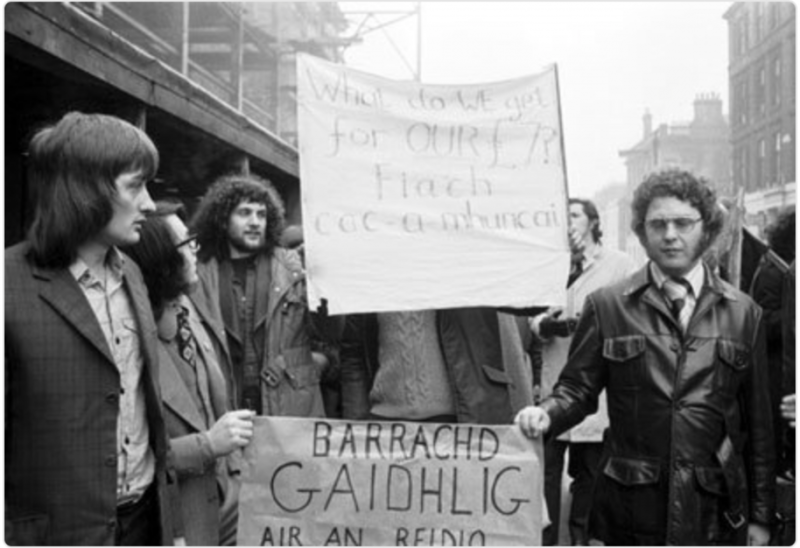 In the mid-1970s, Gaelic radio output was moved to FM and the move was met with considerable opposition and a measure of public activism. The decision taken by Fred Macaulay, arguably the most influential individual ever to have worked in Gaelic broadcasting to move Gaelic radio to FM, despite it being labelled "Very Hard to find" (VHF), was a seminal moment and paved the way for further radio expansion in the 1980s. Because few areas of the West Highlands and virtually none of the islands could receive television signals before the early 1960s, Gaelic TV was at first not an issue, though there had been coverage of the Mòd. As with radio, Gaelic TV broadcasting began with Gaelic songs introduced in English, such as Ceòl nan Gàidheal (‘Music of the Gaels’), introduced by James Shaw Grant (1962). The first genuine Gaelic TV programme was in the light entertainment category: Se Ur Beatha (‘You’re welcome’) in 1964. The first current affairs television series, Bonn Còmhraidh, was launched in 1970. Gaelic school’s programmes began in 1975. The first Gaelic children’s TV programme, Cuir Car, was aired in 1977, followed by Bzzz in 1981, and the first programme for pre-school children, Mag is Mog, in 1982. The pre-school “classic” Dòtaman was broadcast from 1985. In 1976, BBC Radio Highland began broadcasting from Inverness. In 1979, BBC Radio nan Eilean opened in Stornoway with Radio nan Gàidheal starting in October 1985. From 1985 onwards, the BBC Gaelic radio service, Radio nan Gàidheal, steadily increased the number of hours broadcast and broadened its geographical range. Programming now exceeds 90 hours per week and Is accessible not only to the great majority of Scotland’s Gaelic-speaking population but also to the great majority of the Scottish population as a whole (although the service Is still unavailable in some parts of the country). Radio nan Gàidheal is also available worldwide via the Internet. 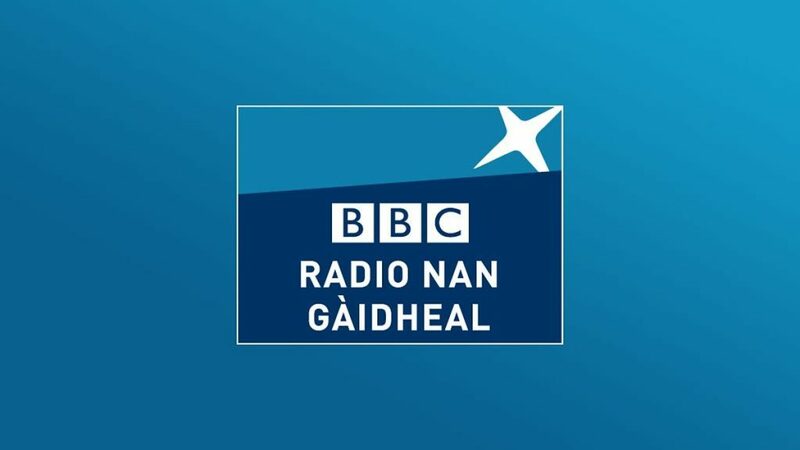 Radio nan Gàidheal has a very high level of audience penetration within the Gaelic community and (much more so than television) plays a key role in relation to the publicising and discussion of Gaelic affairs. Gaelic television expanded rapidly as a result of the Broadcasting Act 1990, which established a Gaelic Television Fund worth £9.5 million annually. Although a government-appointed commission formally recommended in 2000 that a separate, dedicated Gaelic television channel should be established, and the government committed itself to this goal by acceding to the European Charter for Regional or Minority Languages, progress stalled for several years in the early 2000s, for a combination of political and financial reasons. A new digital channel, delivered by the BBC in partnership with the MG ALBA (the Gaelic Media Service), was finally launched in autumn 2008. 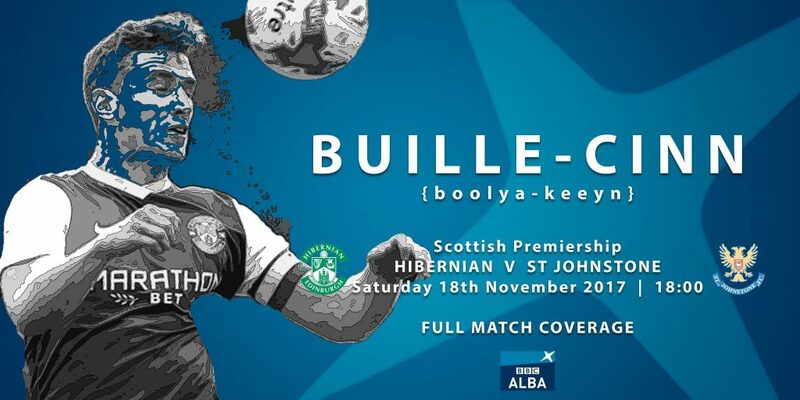 This new channel, BBC ALBA, (https://www.bbc.com/alba) was initially available only via satellite (and, for some programmes, on-line). BBC ALBA launched on Freeview, the digital terrestrial system used by most Scottish viewers in June 2011. Making the channel available on Freeview dramatically increased the reach of the channel, with some 15.6% of Scottish viewers (well over 500,000 people) accessing the service each week in 2012-13, some of them doubtless attracted by Its sports programming mainly football, shinty and rugby matches with Gaelic commentary. Broadcasting consumes the lion’s share of total public expenditure on Gaelic development, and this proportion increased further with the establishment of the digital television service, even if the budget for the Gaelic television service is small compared to other minority language services, to say nothing of English language channels.